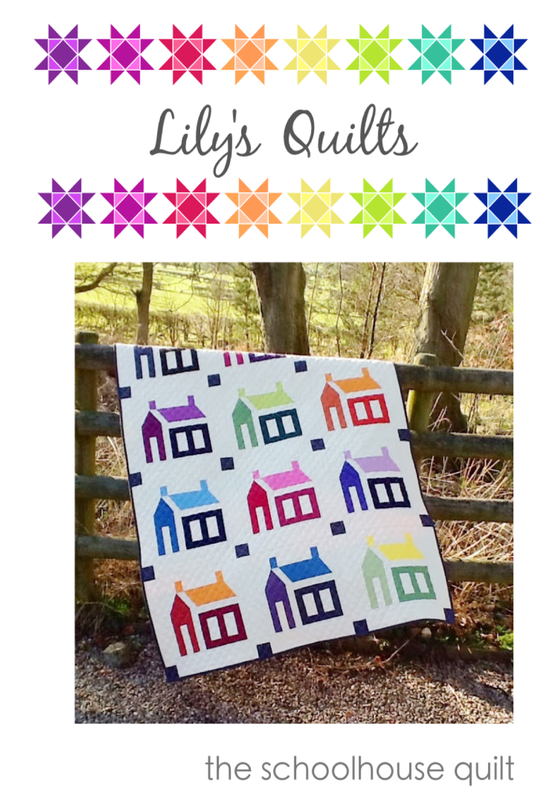 Lily's Quilts: Quilt pattern for sale! I have a quilt pattern for sale! Believe it or not, after five years of blogging and quilting, I have only just today managed to set up a pattern shop and upload my first pattern for sale. Hopefully many more will follow thick and fast as I have made more quilts than I've had hot dinners. The first quilt pattern I've chosen to sell is The Schoolhouse Quilt. I love a modern take on traditional quilt blocks and also love the 3D effect in this quilt with the use of three different shades of the same colour in each house. My quilt was made from Oakshott Colourshotts but this is also a great scrap buster or would work with F8ths or even a layer cake. To buy the pattern, click here and I'd love to see your version of the quilt if you make it! Very cute quilt! And congratulations - happy selling. Have a super day! Good for you to finally get this started, you have many great patterns to sell. Well it's about time, lady!! Congratulations!!! LMK if you ever need a pattern tester! Congratulations! Nice take on a classic! Huge congrats! I hope to release my first pattern this year too.